You want to pass the PMP Exam… Right? Then why read about failing it? The Failing Rate of the PMP Exam is quite high… approximately 40-50% people who take the exam fail in their first attempt! How? Why? Let’s look at the ways how people fail the PMP exam… If you can spot yourself following any of these rules, then probably you can take action and save yourself the disaster. 1. No need to prepare for the exam. Actually, you know everything about Project Management. You have done several successful project on your own… without reading any book or knowing any project management methodology. So in all practicality, you probably know everything there is to know about project management. Therefore, there is no need to study. Your experience should suffice for this exam. After all, you have 10, 15 or 20+ years of experince managing people and projects. Remedy: This “belief” causes people to take the exam lightly, and they end up not studying well for the exam. The PMP exam is tough. You really need to be well prepared for the PMP Exam. People usually study for anywhere from 6-8 weeks before they consider themselves ready for the exam. And how do you know you are “ready”? The only way to know is to try out as many mock exam questions as you can. Only when you begin to get 80-85% of the questions correct can you consider yourself to be “ready”. 2. Think that “Your Way” and “PMI Way” are the same. People assume that this is a “perfect world”. What goes on in your project or your country as a common practice is the “best approach”, and will be used & practiced in other countries too. It is a known fact that PMI prescribed Project Management is the ideal way. But since the world is not perfect, “best practices” may not necessarily be used uniformly in other countries, or in all projects, or even at all. For example, if bribing is a common practice to get things moving in your experience, you may think that it is “ok” to bribe to get things done. Or when no one in your company prepares any Project Charter, or sign-off the Requirements, and you often proceed on the project without any formal requirements, documentation or approvals. If you have always worked in such an environment, you can easily get the bulk of the questions wrong in the PMP exam. After all, PMI’s Framework is established on formal documents, approvals, planning, proactive management etc. Remedy: Know and understand that your way of getting things done may work in real life, but it may not match with what PMBOK Guide says. In this case, there is no use arguing or fighting. If you want to pass the exam, it is better to know the difference, and see how to bridge the gap. Make note of all differences, and this will help you to identify blind-sponts, and respond to them as per the PMI way. 3. Use your Project Management Experience as a guideline. Since you managed to execute the past projects fairly successfully, there is no need to look elsewhere. You can base your PMP exam questions on your experience. After all, with so many successful projects, there’s probably nothing that you haven’t seen yet. Remedy: To be frank, most of us work on fairly small projects – a few people, a small team, a miniscule budget. How many people get to work on “multi-million” dollar projects, which requires the work of 200 plus people, and coordination across multiple countries, multiple time zones? Plus, all projects do not even require you to do Procurement Management, or negotiate with vendors, deal with RFP/RFQ etc. ( Could be an internal project or purchasing not required). Similarly, many projects do not give enough or any thought to “Risk Management” or “Quality Management”. For them, a project only consists of Time, Scope and Cost. Remember, there are 9 Knowledge Areas on the Exam, and your experience may not have touched on all of them significantly enough to answer all kinds of questions from these areas. 4. Study whatever material is available. After all, buying Project Management or PMP Exam Preparation Books are going to be useless after the exam… Why buy any book? You can rely on your experience, and maybe read whatever book or material is available. Remedy: Investing in a good quality PMP Exam Preparation Book or Training Program is a great way to improve your chances of success in the exam. 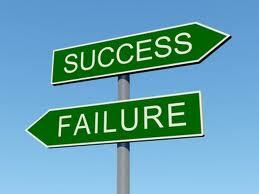 Good quality training courses and books will open your eyes… and make you realize about your “blind spots”. Once you are knowledgeable about what you “don’t know”, you can learn about it, and improve your knowledge. Like I said before, your own knowledge may be limited, and your own project management practices may not be the best. We have a long list of Good Training Program, Books and Resources to help you in this regard. 5. Skip Reading the PMBOK Guide. The PMBOK Guide is quite thick. Reading it is like taking a “Sleeping Pill”. It is very dry and difficult to read. So people give it a miss, and just rely on other books or material. Again, this is an extension of the “I know everything” and the “My experience should be enough” to answer the PMP Exam questions. Remedy: The PMBOK Guide lists many terms in its Glossary, which you may not even heard about. And the exam is going to use them and question you about them. So if you are not sure what a “Tornado Diagram” is, what an “Affinity Diagram” is or what a “WBS Dictionary” is, you are in for a tough time. A huge number of PMP questions touch on Project Management Terms, and are considered “easy” if you know the terms, when and where they are used, and why. Go through all the terms a couple of times. Identify the ones which seem alien to you. Then refer to the pages of the PMBOK Guide, and understand what they are. At least you willl have less surprising terms on the exam. A word of caution though – even if you go through all the terms in the PMBOK Guide, you may still find things that are not in the book. That’s because Project Management is an art and a science. It can’t be distilled into a book only 500 pages thick. Also, many questions contain all correct answers. Check out how to answer such questions, when all 4 given choices are correct [VIDEO]. 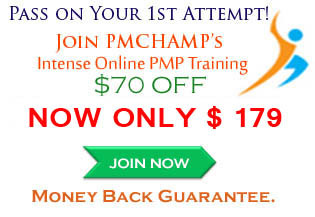 Do not take the PMP Exam lightly. Do not rely only on your experience. Identify the blind-spots in your knowledge, and then take steps to fill the gap. Do a lot of Mock Exam Questions. Follow these, and you are less likely to fail the PMP Exam, and more likely to pass, and earn that coveted PMP Credential. Remember, FAILURE IS NEVER AN OPTION. I am offering a 5 week mentoring program, which is delivered online – through videos – a one hour video each day, with lots of exercises, mock questions, tip sheets and resources to help you prepare for the PMP exam. Ask questions, and prepare for the PMP Exam step by step. Check out the detailed Course Outline for the workshop, and you can join it. I recorded an introduction to the Program. You can watch the video here. Do I Really Need To Read The PMBOK Guide? Is reading the PMBOK Guide enough to pass the PMP Exam? A Very Good Project Management traning and Reference Book is required to Pass the PMP exam.